Now you know houseplants are great for your health, and are a super easy way to style your space, so how do you choose the right houseplant? 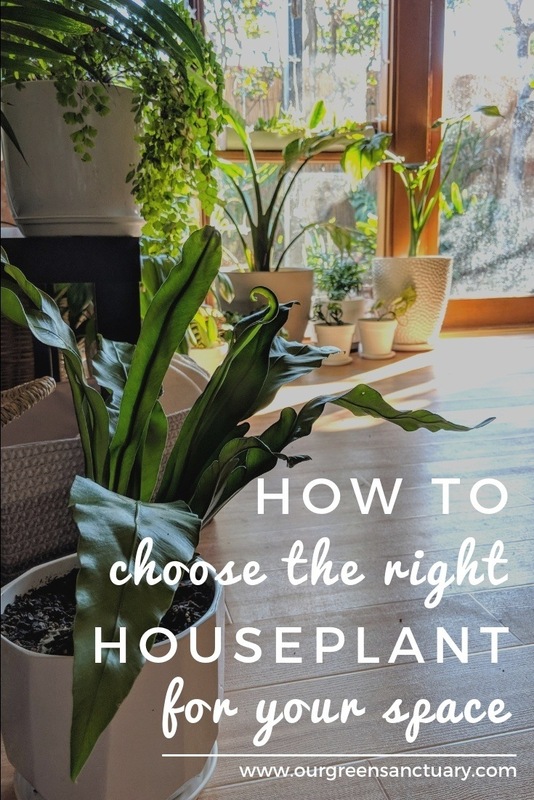 Selecting the perfect houseplant for your space takes some consideration, so I’m going to share with you the top things to consider when choosing the right houseplant for your space. 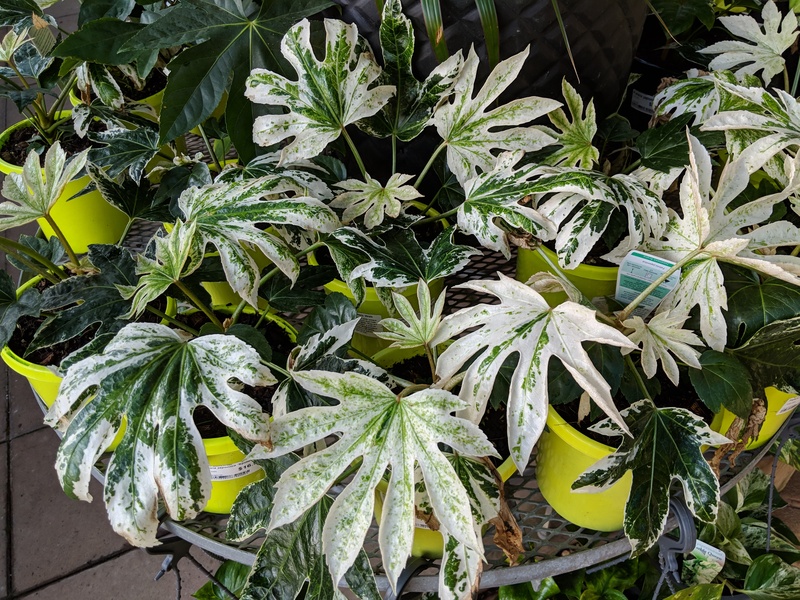 Why is light important for houseplants? Plants need light to grow. For houseplants light is essentially their food. The process of plants eating light is called photosynthesis. Plants take the energy they receive from sunlight, carbon dioxide they absorb from the air and water and turn it into carbohydrates which they use to grow and release oxygen. If plants do not receive adequate light then they may not be able to photosynthesise. Adequate light requirements may differ between houseplants, as some plants can handle less light than others. You can read about my top 10 low light houseplants here. Houseplants are often found next to large windows, in bright indirect or filtered light. 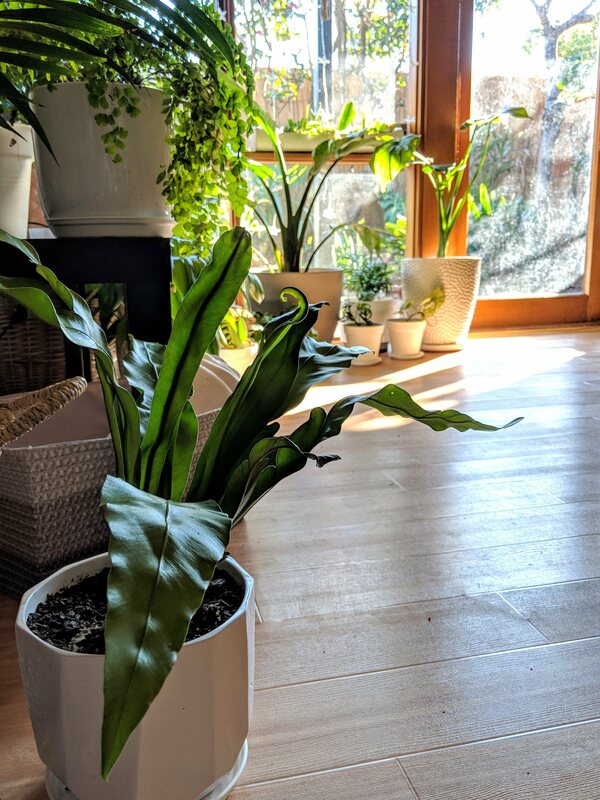 Most houseplants will tolerate direct morning sun however, hot direct afternoon sun is not generally recommended. 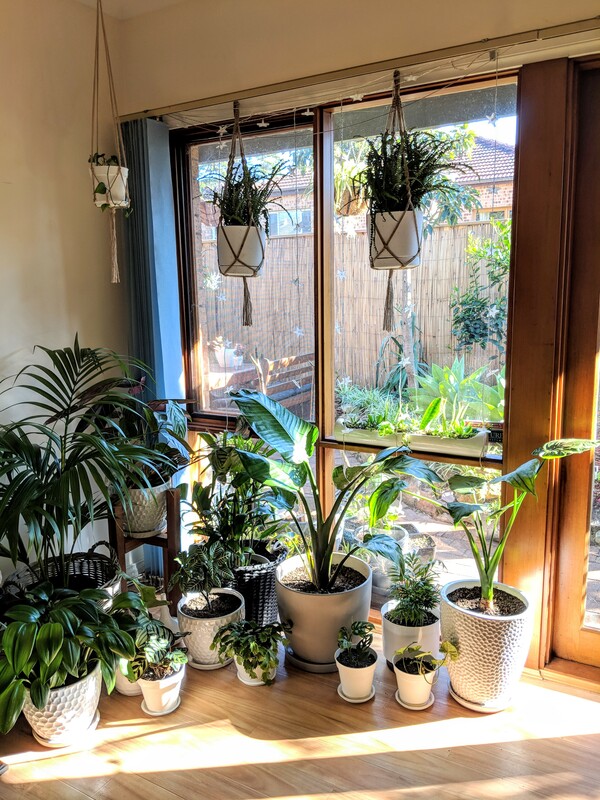 When choosing where to put your houseplants, consider that the further a houseplant is away from a window, the less likely it will receive enough light. Keeping houseplants in windowless rooms will only be successful when providing the plant with a substantial artificial grow light. 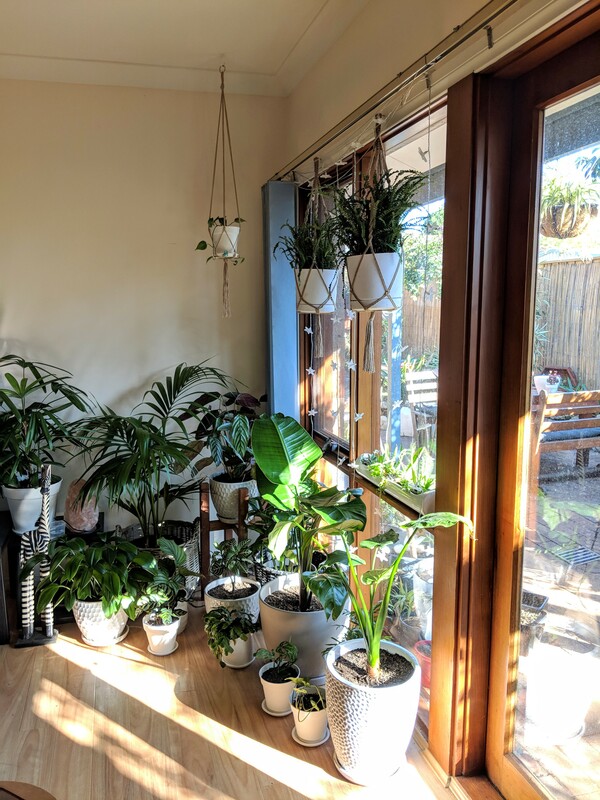 How big is the space you have for houseplants? Plants come in many shapes and sizes which may change and increase over time. After all, they are a living thing! Consider the size of your space when selecting appropriate houseplants. 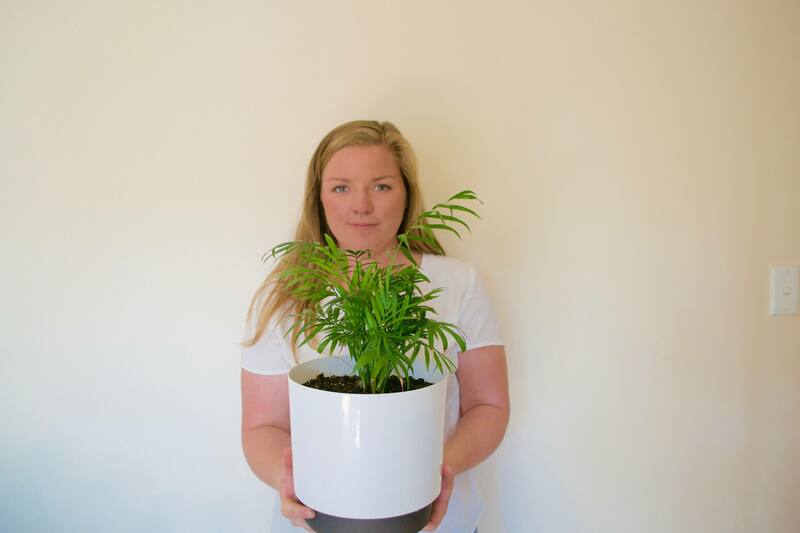 You may wish to style a collection of small houseplants with shelving or plant stands, or fill an empty corner with a larger plant in a basket such as a Kentia palm. Take into account the maximum size in height and spread of the houseplant, and whether its slow growing or not. Be aware, grow time will also be relative to the conditions the plant is kept in. Strelitzia nicolai - Bird of Paradise is a stunning houseplant which can quickly grow in excess of 2 metres high and 1 metre spread indoors. Hanging planters and macrame plant hangers are also an effective way to display plants and are perfect for small spaces. Climbing and trailing house plants such as hoyas, syngoniums and some philodendrons are great choices. Is it getting hot in here? Many houseplants are tropical in nature and require warm and humid environments to thrive. 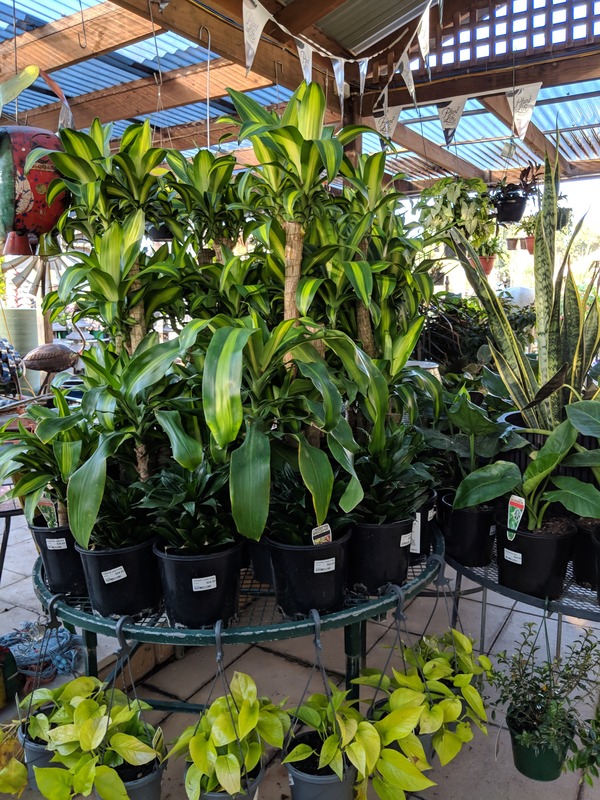 You will need to consider the temperature and airflow of the area you choose for your houseplants and take into account any doors or windows where a cool breeze could pass through. Fluctuations in temperature due to artificial heating and cooling will also have an effect on houseplants. For very dry areas, you may find a humidifier will be beneficial to your houseplants. Houseplants such as Calathea species are particularly affected by unsatisfactory temperature and humidity and often require a pebble tray or humidifier to increase the humidity in a space. This can be indicated by brown tips on the edges of a plants leaves. TIP: What is a pebble tray? A pebble tray is simply a tray filled with pebbles and covered in water. Place underneath or nearby plants that require increased humidity. The water will need to be topped up regularly in order for humidity to be created. Brown tips on your houseplants are a sign their environment needs changing. Light, temperature and water all in play. Under or over watering are often the issue so always use the finger test when watering your plants. Placing houseplants by large windows can assist in providing the best environment for your plants as the window should provide adequate light. 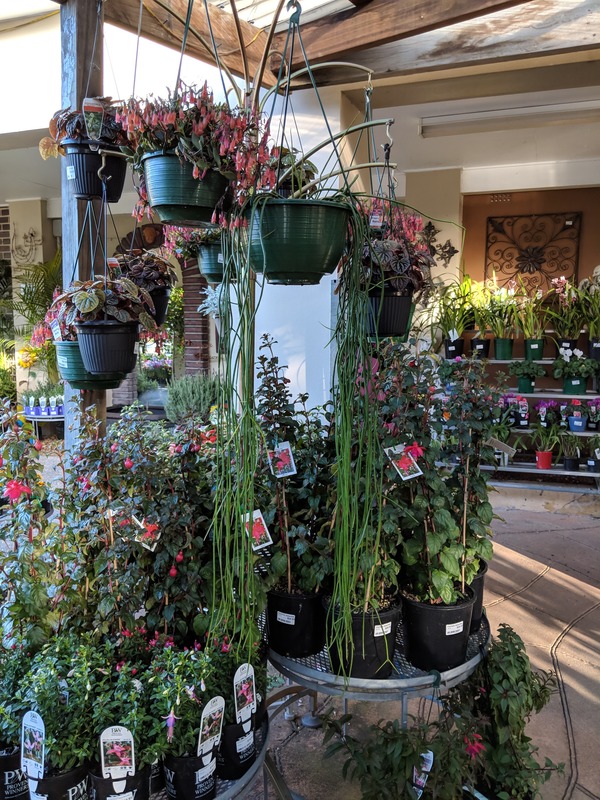 Grouping plants together can assist in creating humidity, and grouping plants that have similar water requirements makes watering day so much easier! This is the best part! The lush green walls of plants… Don’t get distracted! When you purchase your plant, take note of the environment it is kept in. A nursery or garden centre should keep its plants in their optimal environment so they look great to sell. Are they outside in the direct sun? Or shaded under cover? Houseplants will be where the plants are either indoors or under cover. Be aware most plant shops don't grow their own plants and advice can vary so, don't be afraid to ask questions and do your own research. What do you look for when choosing a houseplant for your space?